We always take note when Pantone reveal their ‘Color of the Year’. For 2019 it’s Living Coral; ‘An animating and life-affirming coral hue with a golden undertone that energizes and enlivens with a softer edge'. ‘Vibrant, yet mellow PANTONE 16-1546 Living Coral embraces us with warmth and nourishment in our continually shifting environment. The Pantone Color of the Year embodies our desire for playful expression'. You can discover more about Pantone’s Living Coral here. Unsurprisingly, coral can now be seen filtering through to fashion and homeware. The perfect mix of pink and orange, coral is warm and vibrant. Ranging from softer blush tones through to deeper reddish hues, you’ll find coral is an easy colour to introduce into your home. How can I use coral in my home? One of the most effective ways to introduce this on-trend colour is with a piece of statement furniture such as a sofa or chair. The benefit of going coral with a larger piece is that it takes minimal effort to make a big impact rather than repeating the shade with a collection of smaller accessories. 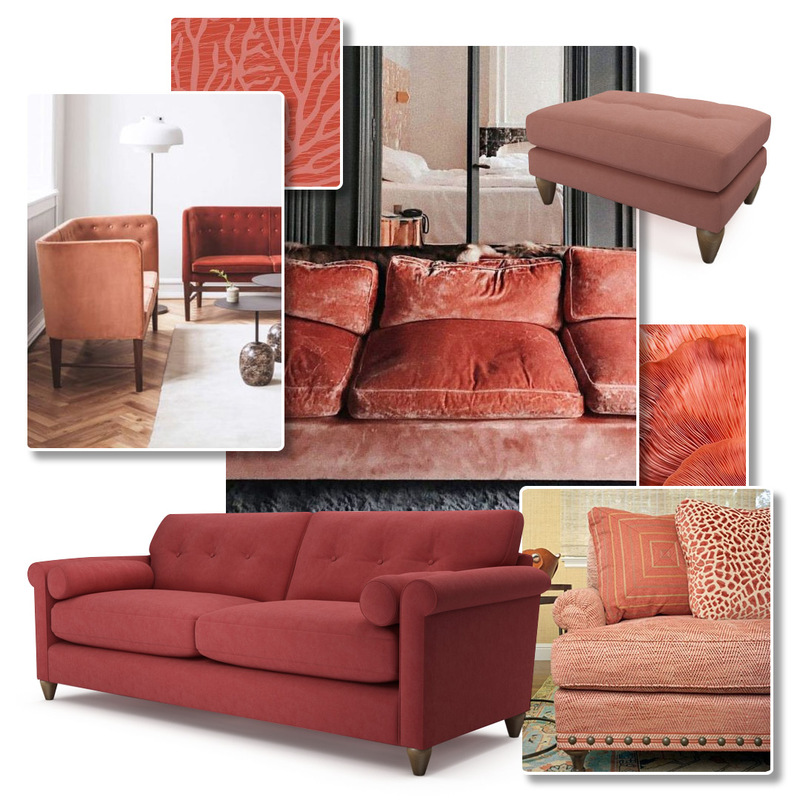 You can check out all of our gorgeous coral sofas here. Can I decorate with coral? So coral’s a pretty peachy colour, we think you’ll agree! Order up to 8 FREE swatches and start embracing this season’s hottest hue.